Residents in Cape Town are bracing for ‘Day Zero’, with the city’s water supply dangerously close to running dry. Dam levels in South Africa’s Western Cape province fell to just 24.5% this week and it’s expected taps will be turned off in April, leaving residents to pick up their water from one of the 200-odd collection points. To read and listen to more, about the current water crisis in Cape Town, from 3AW693 News Talk, click here. The problem with those terms is that they typically referred to restricted use, a period when water users were being asked to cut back on consumption. This most commonly happens during a drought, for instance. However, the issue of reducing water consumption has become much more severe over the past two decades. The United Nations has been evaluating water patterns around the world for years, and in their second UN World Water Development Report, which came out in 2017, they reported that two-thirds of the global population will live in areas of water stress by 2025… just seven years from now. This latest report made it evident that we must now do more than just “conserve” water as if we were dealing with a temporary drought. “Water stress” is an ongoing situation and occurs when the demand for water exceeds the amount of water available for both the short- and long-term. This can be the result of population growth, failing water infrastructure that is not being replaced or updated, climate change, or a combination of all of these. But what we need to know is that it means a short-term drought is no longer the problem. Long-term water shortages are now the problem. And merely taking steps to conserve water just won’t have the water saving impact we need. 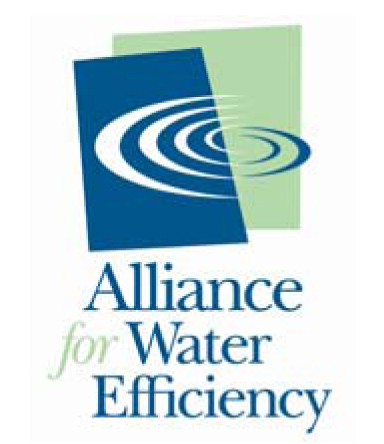 Now we need water efficiency and water efficiency differs from water conservation in several fundamental ways. First of all, water efficiency does not focus on how much water is used or not used, for that matter, but concentrates instead on water waste. To measure water efficiency, we measure how much water is required for a particular purpose and then compare that with how much water is currently used for that purpose. • Currently, one water-using urinal uses about 30,000 gallons of water per year. • We now have waterless urinal technologies that have eliminated the need to use any water in urinals at all. • This makes a flush urinal a very inefficient use of water and the alternative, a waterless urinal, which have been around for more than twenty-five years, a very efficient use of water. We can see water efficiency at work when we examine other restroom fixtures as well. Whereas a toilet may have used two to three gallons of water per flush in the 1980s, a toilet today may use less than 1.25 gallons of water per flush. This makes today's toilets far more water efficient than its predecessors. So, if two-thirds of the world’s population will be dealing with water stress in less than ten years, does that mean the UN and governments around the world will need to take steps now to avert very serious water shortages around the globe? Many parts of the world in which water stress is becoming a major concern are in fast-growing, less developed areas that have very poor or non-existent water infrastructure. In such areas, the UN and governments around the world will likely be needed to step in. But, a great deal of this problem will be addressed by private industry. There are several new technologies, from waterless urinals mentioned earlier to seawater desalination, computer-controlled “smart” irrigation systems, and wastewater processing, which allows wastewater to be treated and reused. Many of these have already been introduced and become much more cost efficient than a few years back. This does not mean we will not have some difficult years ahead in many parts of the country. But with these technologies, there is a good chance there will be light at the end of the tunnel. Why Do Restrooms Smell of Urine? The urine smell in restrooms typically is generated by urine that ends up in places other than the urinal, usually coming from the floor.